MILWAUKEE -- When Semi Ojeleye fell to the Boston Celtics at the No. 37 pick in the second-round of the draft this summer, most everyone at the time saw it as a steal. Against the Milwaukee Bucks on Thursday night at the MECCA, we saw why. The rookie didn't even score a point, missing both of his two shot attempts, but he was key to the Celtics' victory. That's because he contributed in a big way on the defensive end, providing some key stops in the fourth quarter when the Celtics made their game-changing run. And they weren't just any stops -- they were stops against Giannis Antetokounmpo, arguably the early favorite to win MVP after his incredible start. "It's great," Ojeleye said about defending the Greek Freak. "You always want to go up against the best and know you can play against them." Ojeleye certainly knows now that he can play against Antetokounmpo. 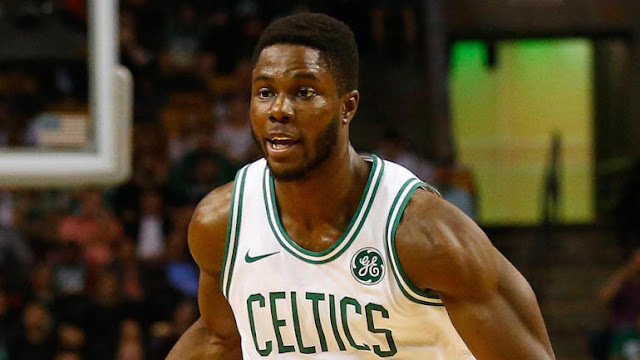 At the beginning of the fourth quarter, Ojeleye entered the game with a mission from Brad Stevens to check the Bucks' All-Star forward, and he did a phenomenal job. Just watch these two possessions to get an idea of how well he was guarding Antetokounmpo.